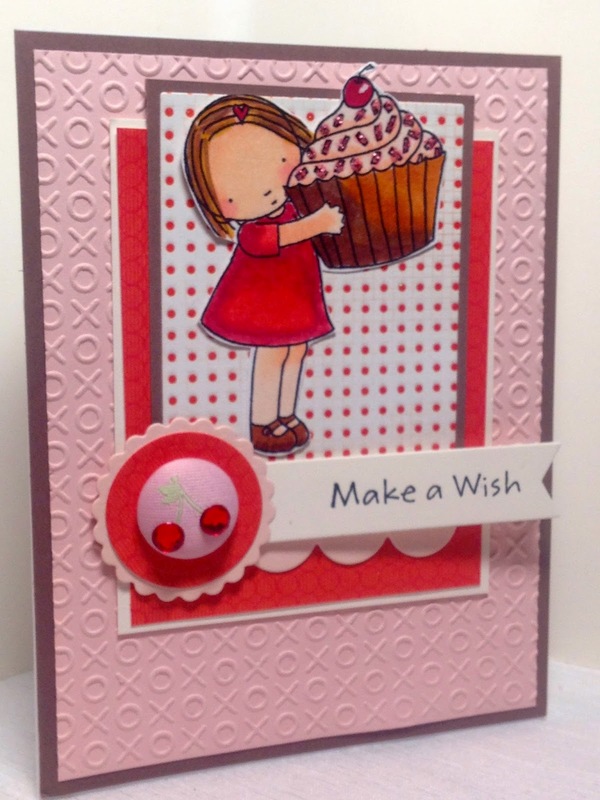 Amy's Creative Pursuits: Happy Birthday with a Cherry on Top! It won't be long before we see cherries in the grocery store! And I will be definitely scooping them up as I love cherries! I made this card for a little girl in my church using a sketch from MFT (MFTWSC213). 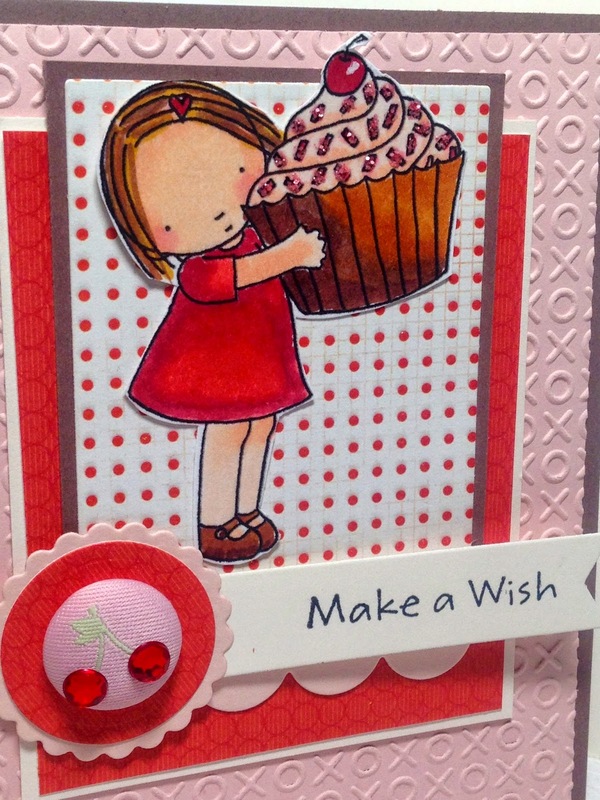 The image is "Pure Innocence: Girl with Cupcake", and the sentiment is from MFT 'Make a Wish'. 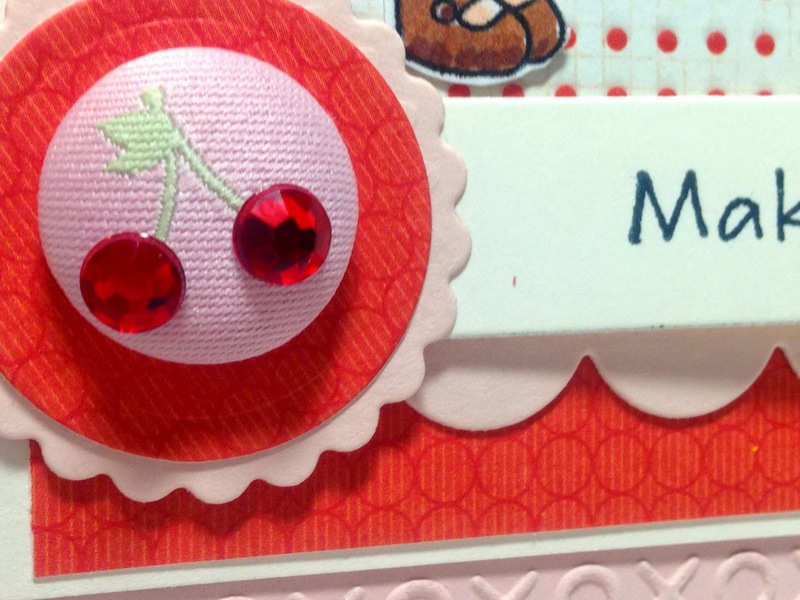 I used a Cuttlebug Embossing Folder to create the hugs and kisses background. The rest of the paper is from DCWV 'Dots, Stripes, and Plaids'. I put Stickles on the cupcake sprinkles. The cherry embellishment is a brad from Martha Stewart, and I used MFT dies to create the banner and scallops. This is so cute! I love the sketch and perfect colors too! Superb card, so cute image, and...yummy !